Phonak Canada employee and Hear the World volunteer Monika Nazair served for a Hear the World Foundation project in Northern Canada. The goal of her assignment: help installing the new wireless microphone system for better hearing in classrooms. In May 2017, Phonak Canada employee and Hear the World volunteer Monika Nazair served for a Hear the World project in Northern Canada. The goal of her assignment: help installing the new wireless microphone solutions donated by Hear the World at two schools in Nunavut. In the interview with Hear the World Monika told us about her volunteering experience. Why did you decide to volunteer at this project? When I was informed about an initiative aimed at helping children in the north of Canada to hear better in classrooms via the implementation of Roger soundfield speakers, I jumped at the occasion to be part of the project. Not only had I developed a particular interest for all things related to Roger technology and pediatric amplification since I joined the Audiology Support team at Phonak Canada, but I have also always been very curious about the northernmost territory in our beautiful country. I was very eager to join one of the launches of the Better Hearing in Northern Youth (BHENY) project. 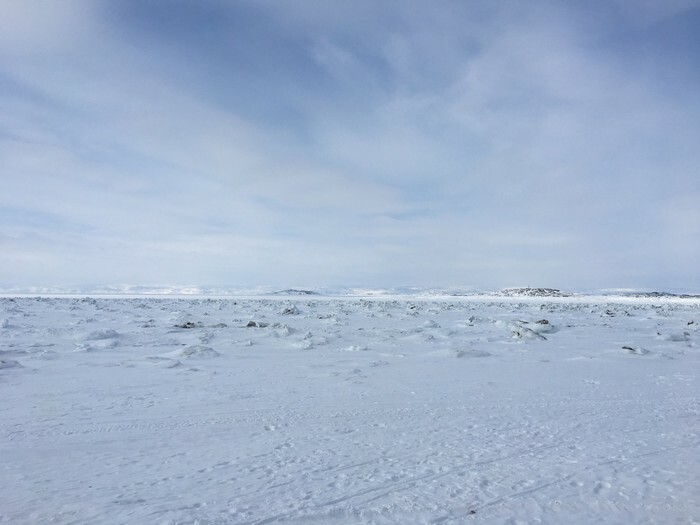 The BHENY project was started to help children and youth with hearing loss in 13 under-serviced communities in the Qikiqtani region of Nunavut. What was the goal of your assignment? We were scheduled to visit two schools in Nunavut to oversee the installation and training on the soundfield systems. Our role within the project was to help improve learning at school through professional development for classroom teachers, student support teachers (SSTs), student support assistants (SSAs), principals and administrators. Training sessions had been scheduled to present them with the information needed to understand the importance of the equipment, and how to properly use it in classrooms. Another goal of the project was to facilitate community partnerships in order to coordinate better access to hearing health care services for children, and to provide information and support for parents and community members. You held a Hearing Fair at Joamie and Nanook school. What was it all about? The goal of the Hearing Fair was to create a fun and interactive way for children to learn more about ears and hearing. During the fair, the students were split into small groups and circulated from one station to another. Each station was related to hearing. One station focused on the basic anatomy of the ear and how we hear. The second was related to noise and encouraged reflection on the loudness of everyday sounds. The theme of the third station was “how animals hear”. The fourth station asked students to differentiate between things that are either good or bad for our ears. Lastly, the focus of the fifth station was on hearing equipment such as hearing aids and Roger technology. Was there a special moment you remember from your assignment? When we showed the children at the Hearing Fair the demo hearing aids in all the fun colors some of the children started shouting “I want a hearing aid!”. They then began comparing all the different colors and saying which one they would choose if they needed them. It was thrilling to see such an enthusiastic attitude towards hearing aids! All too often, children with hearing loss may be self-conscious, embarrassed, or shy about wearing hearing aids.